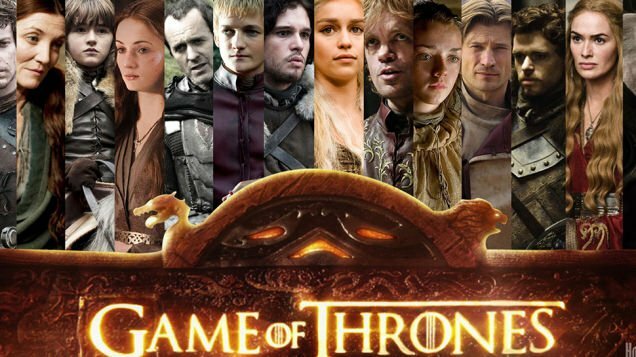 Nine new characters will be unveiled in the fifth season of Game of Thrones. The announcement was made via a video during a press conference at the Comic Con event in San Diego. Among those joining Game of Thrones will be Jonathan Pryce, who played a James Bond villain in Tomorrow Never Dies. Alexander Siddig, who’s starred in 24, and Oscar nominee Keisha Castle-Hughes will also feature. More than 6,000 people attended the Game of Thrones press conference. Existing cast on the panel included Kit Harrington (Jon Snow), Gwedoline Christie (Brienne of Tarth) and Maisie Williams (Arya Stark). No plot details were revealed but a blooper reel was played, as well as a video announcing the nine new characters and who will play them. Jonathan Pryce will play the High Sparrow while Castle-Hughes will appear as Obara Sand. Alexander Siddig is Doran Martell, the lord of Dorne and older brother to the late Oberyn Martell. Toby Sebastian has been cast as Prince Doran’s son, Trystane Martell, the heir to Dorne. Nell Tiger Free is Myrcella Baratheon, DeObia Oparei is Areo Hotah, Enzo Cilenti will be Yezzen, Jessica Henwick is Nymeria Sand and Rosabell Laurenti Sellers is Tyene Sand.